Welcome to the first blog post for the 2014-15 school year! This week’s post is from Amelia in 5L. Frank just went on his first Disney Cruise! First he had a long ride on the Disney bus. It was very boring. But wait, what do I see? 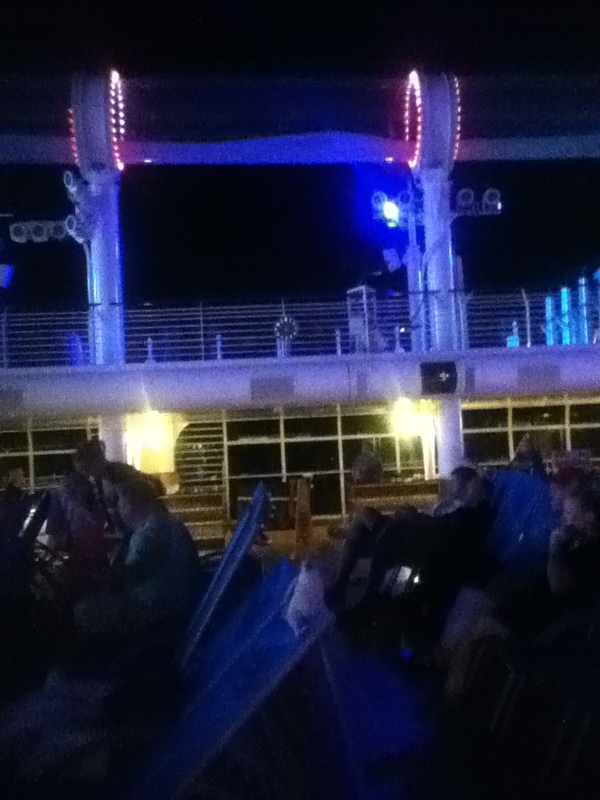 It’s the Disney Cruise!!! YAY!! 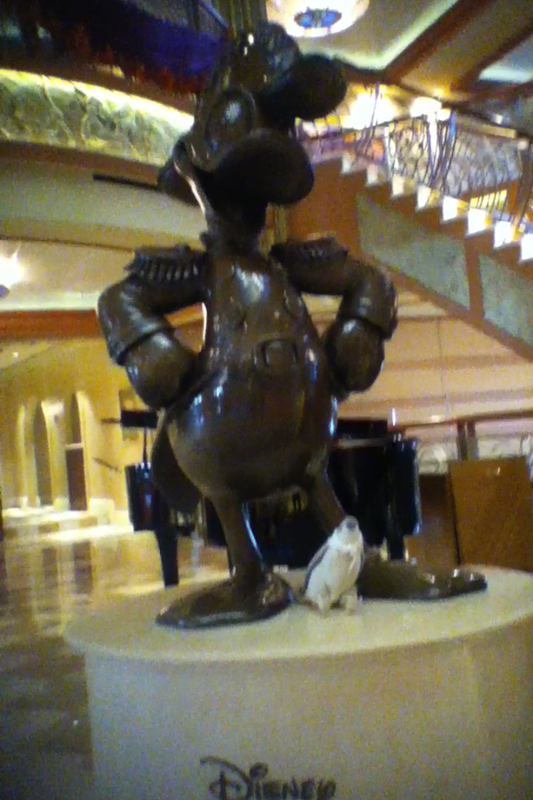 Then Frank wanted to check out the Donald Duck statue, so we did. Frank said it looked like a giant! 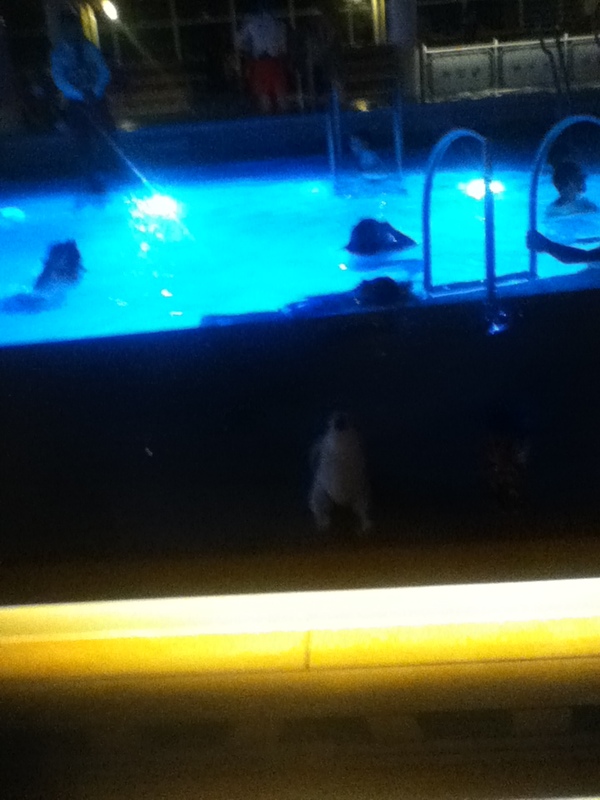 Then, of course, Frank wanted to go to the pool. 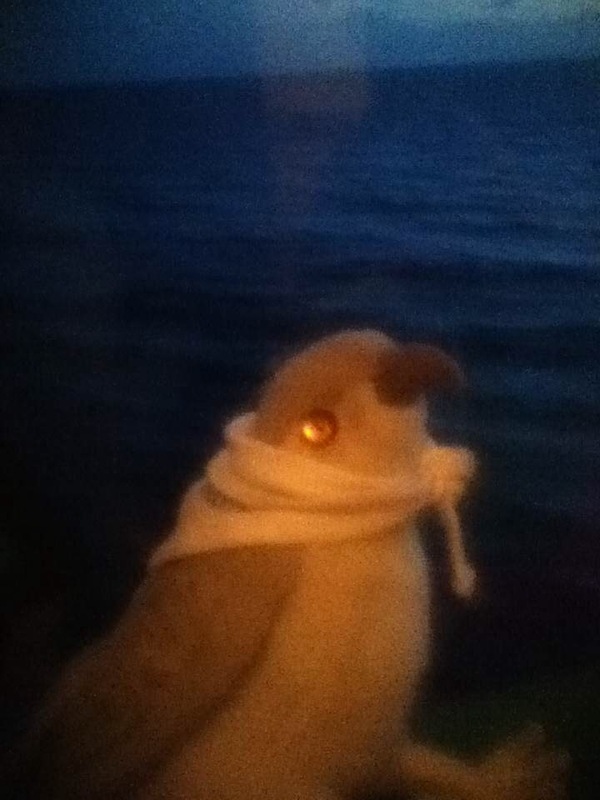 Wow, it’s already night time! Frank and I loved the pool. Mmmm….what’s that smell? 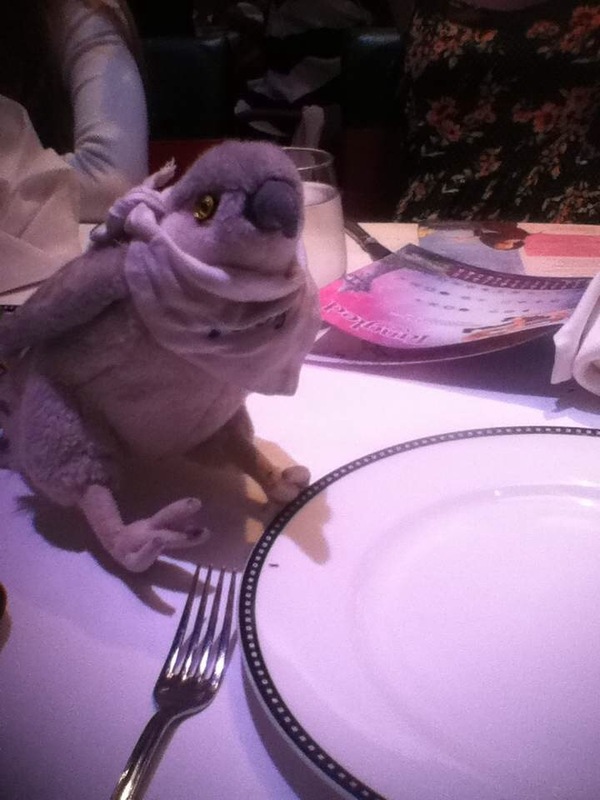 Yummm, it’s the restaurants! So we went to a restaurant called Annimator’s Palate for dinner. Frank said the food was awesome. Time to go to bed. 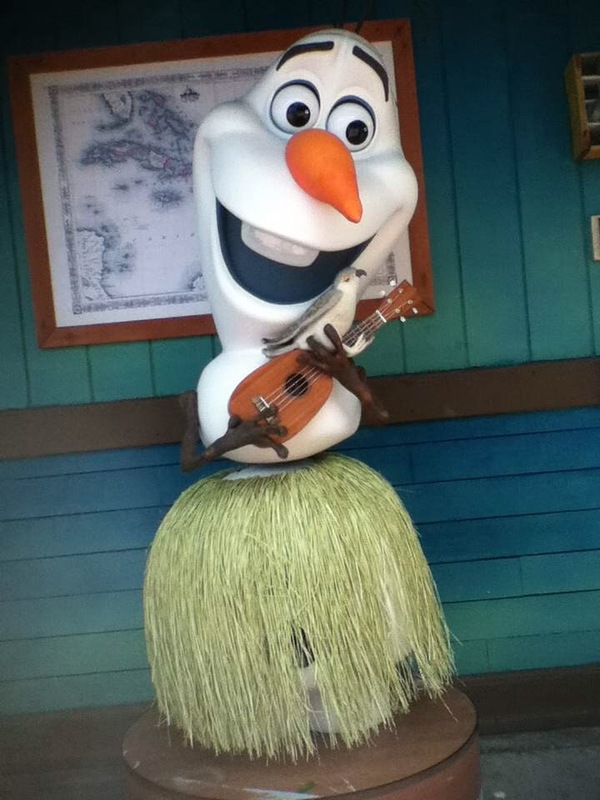 In the morning we went to Castaway Cay and me and Frank met Olaf from Frozen. It was so cool. 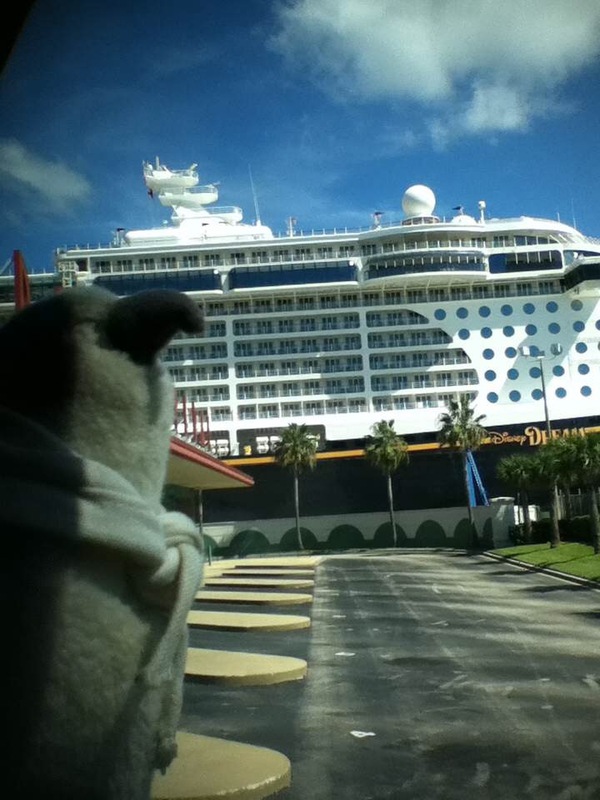 And so that is the story of Frank’s first Disney Cruise!